Fionnuala was born and reared in Cork, and considers herself fortunate to have grown up near the Paps of Danu, the mountains named for the ancient goddess. Now living in Dublin, she has been a teacher for almost 30 years, working with people of all ages from 18 to 80, from all walks of life. She is an initiated witch and priestess of the Alexandrian Tradition, and is also a Reiki Master. Her particular interest is in the mystery and beauty of the stone circles and other prehistoric sites, monuments and megaliths of Ireland. 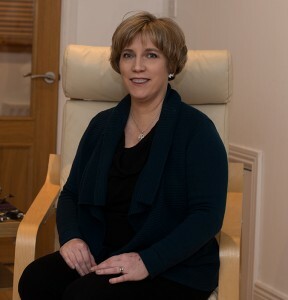 Fionnuala is available as a celebrant for weddings, naming ceremonies, funerary rites and other rites of passage, and welcomes the opportunity to assist couples of all genders and orientations in planning their handfasting.